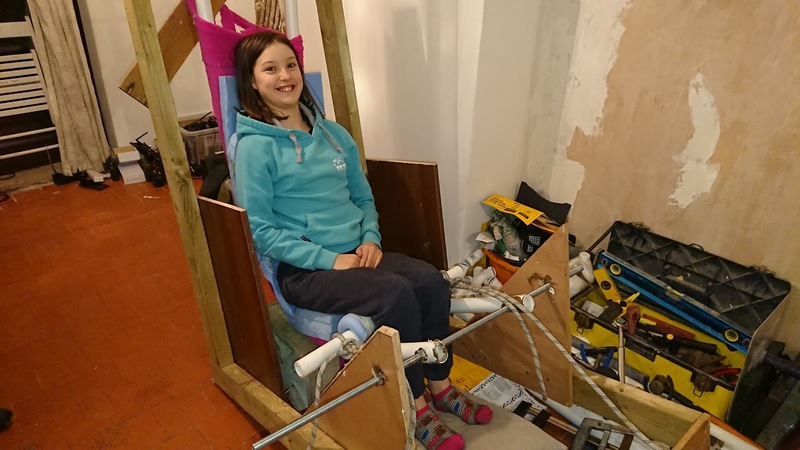 When designing the wheelchair it was important that Ada found it comfortable to sit in for hours on end. 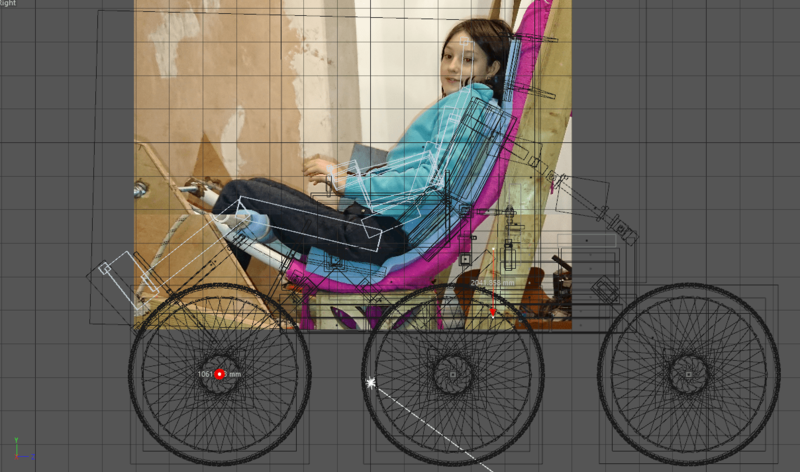 With this in mind I made a PVC mock-up of the wheelchair seat, then everything else was measured to fit around this. With the dimensions correct in the virtual 3D computer environment, it was still difficult to get a sense of scale. 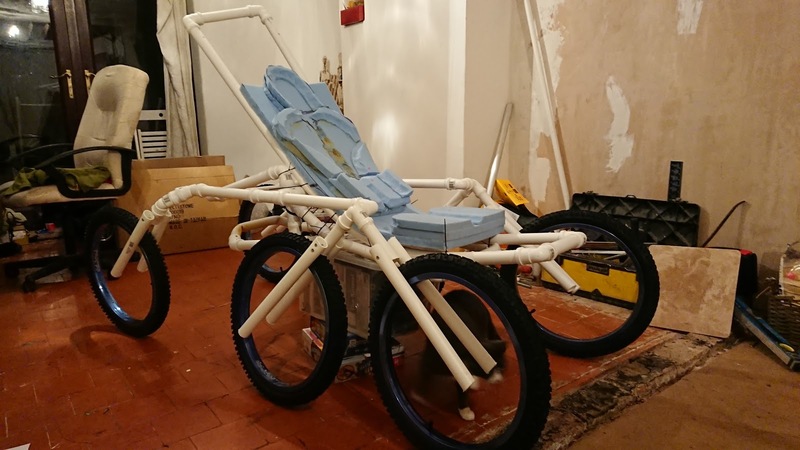 In light of this I decided to make a full-size replica of the wheelchair out of PVC pipe. As it’s made from PVC pipe and just balancing on the wheels it is, as was to be expected, a little flimsy. However, after spending so much time staring at the 3D model on a computer screen and not really having any sense of scale, building this PVC model has been worthwhile. When I first took a step back to look at the life-size model I felt both a huge sense of achievement and relief as so many of my worries melted away. 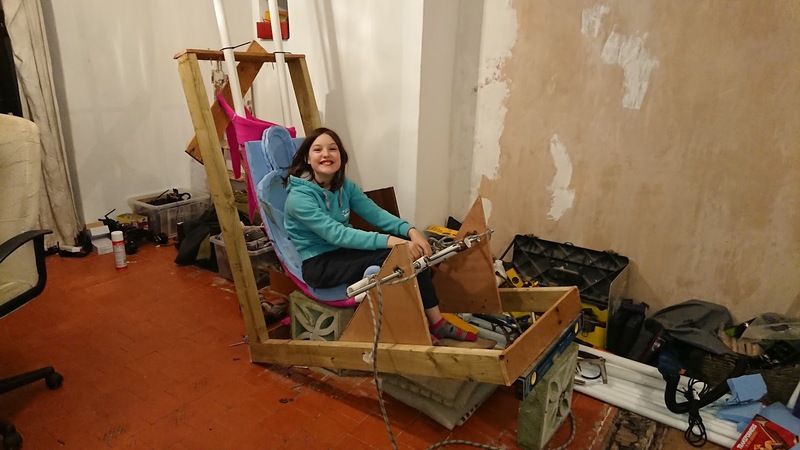 With a little imagination it is (in my mind at least) easy to see this becoming a real wheelchair which is capable of getting into the mountains. There’s a little tweaking still to do in terms of ground clearance (at the moment it’s probably a little too high), but the design will allow me to adjust this during the build. The important thing is that everything I’ve been doing on the computer looks like it’s going to work in the real world. I realise that it looks just a slightly scrappy ;) but that’s fine; this is just a tool for collecting measurements for the actual mountain wheelchair. 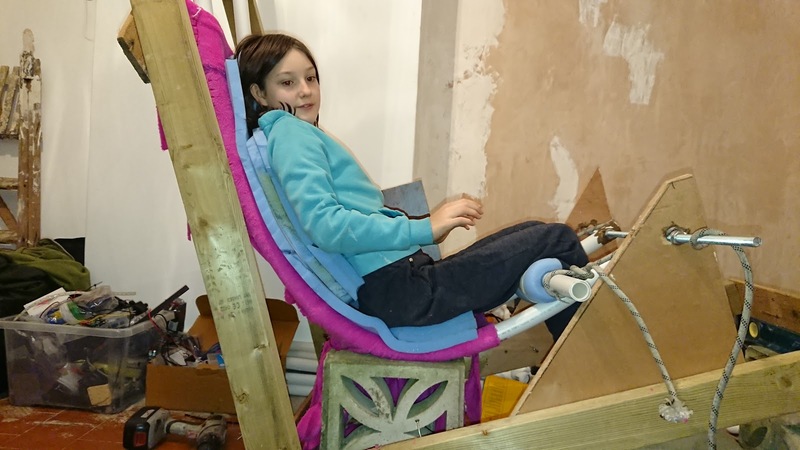 The next step is to tweak the design to suit and then, carrying on with the pvc pipe, continue building a life-size model of the wheelchair. This page was last updated on April 18th, 2018 by Glyn.